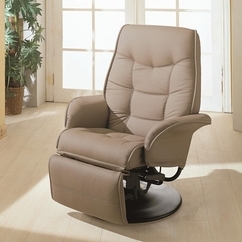 Introduce casual style and unsurpassed comfort into any room of your home with the chairs featured in this recliner, rocker and glider collection. We have rockers and recliners that let you choose your preferred method of relaxation, while a wide range of upholstery options lets you choose the finish that suits your style. Place in your living room or den for stylish comfort, tuck into a corner with a floor lamp for a cozy reading corner or pair with your love seat and sofa for a stylish seating collection.